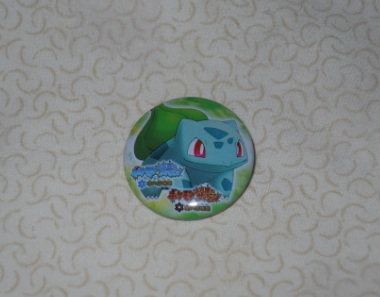 Bulbasaur will always be known as the very first Pokemon in the National Pokedex. 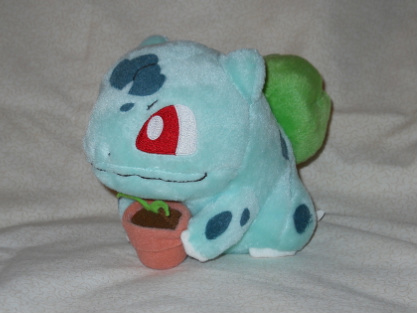 He evolves into Ivysaur at level 16, and then into Venusaur at level 34. He was a popular choice as a starter Pokemon in Red and Blue Versions since he had the advantage over the first three gym leaders. Furthermore, his evolution line had access to both PoisonPowder and SleepPowder, which are useful for disabling the opponent's Pokemon. Like many other final evolutions of other starters, Venusaur does not get much usage in competitive battling. However, skillful use of Leech Seed and SleepPowder can make him a valuable asset to any team. 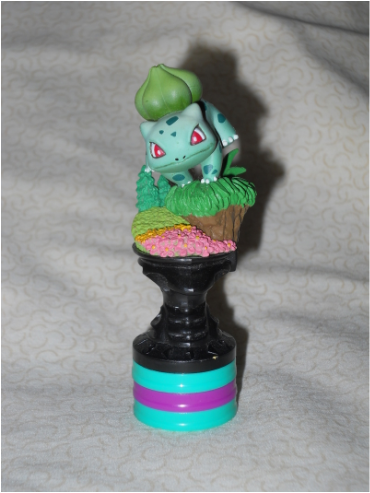 I was always sort of split between Bulbasaur and Charmander for my favorite first generation starter Pokemon, but I think Bulbasaur won me over when he proved to be less of a jerk in the anime (need I mention Ash's Charizard?) and showed up again as one of May's Pokemon (those heart-shaped spots were just too irresistible!). I also find the contrast between his red eyes and green body to be very aesthetically appealing. And I can definitely attest to his usefulness: I chose him as my partner in Pokemon Mystery Dungeon: Blue Team and he saved my team countless times with his SleepPowder attack.